Lightly fried crispy shrimp seasoned with salt and pepper and garnished with chopped cilantro. 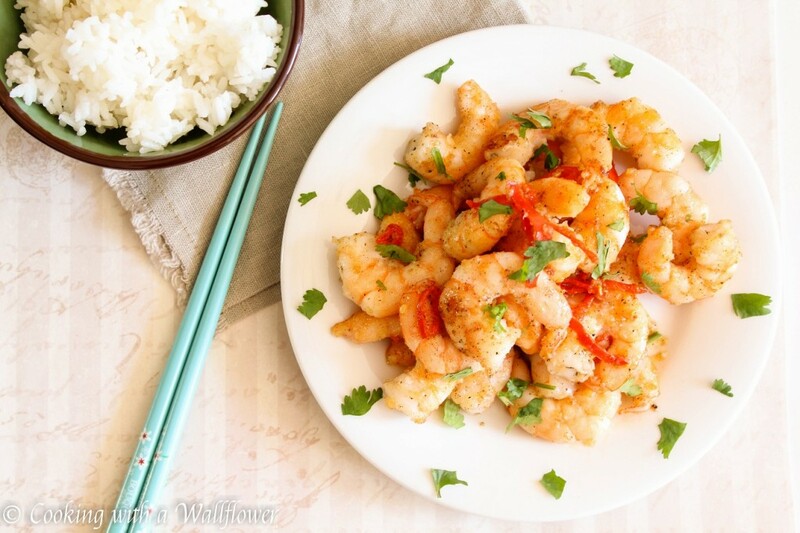 This Salt and Pepper Shrimp is one of the classic dishes found in Chinese restaurants. 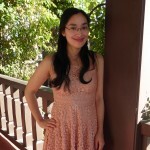 I seem to be on an Asian kick lately. Recipe wise, which means you’ll be seeing more Asian recipes in the very near future. I hope you won’t mind. This recipe, oh my gosh, this recipe is one of my favorites. Right behind Honey Walnut (Pecan) Shrimp. Unfortunately, nothing beats Honey Walnut Shrimp in my eyes. Whenever my family goes out for dinner, these are the two dishes that we always order. It’s just not the same without them. It’s seems so simple, right? How can something so simple be soo delicious and addictive? It just is. I love that this dish is spicy, savory, succulent, and it’s perfect with that slightly crispy outer layer. Each bite is just so satisfying. While the classic dish includes shelled shrimp with the heads on, I actually removed all of that. I prefer my shrimp without any of the shell. It’s just so much easier to eat. First, make sure that all your shrimp has been deshelled and deveined. Because if you’re like me, I like my shrimp clean. Now, you have two choices. You can lightly fry the shrimp as is or you can lightly coat it with cornstarch so that it becomes a little bit crispier. I like my shrimp crispy so I coated it with cornstarch. Place two tablespoons of cornstarch in a small bowl and just roll the shrimp in the cornstarch so that it lightly coats the shrimp. 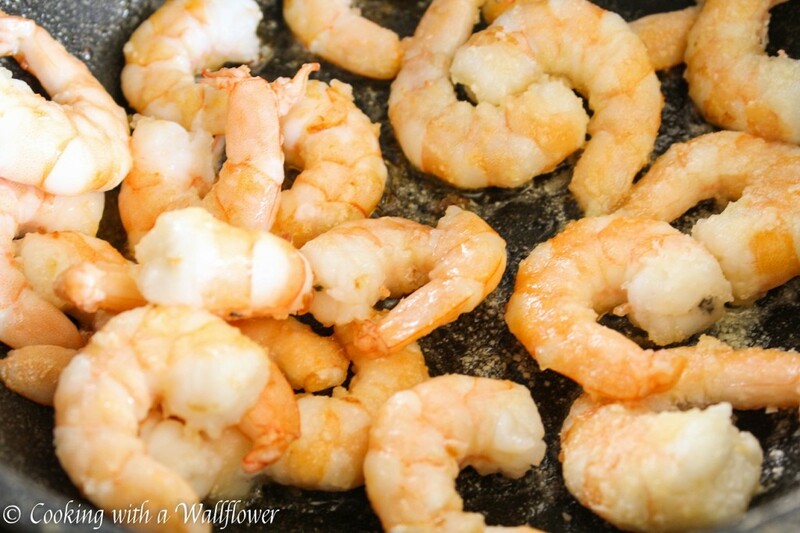 Once you’re done coating the shrimp, add two tablespoons of vegetable oil to a small or medium skillet. Allow the vegetable oil to heat for about a minute before carefully adding the shrimp. Since the shrimp is moist, there’s a chance of the oil splashing so be careful as you add the shrimp to the oil. Cook the shrimp for about 3-5 minutes until the outside of the shrimp has turned golden brown and the inside is a reddish orange color. Season the shrimp with salt and pepper. And if you like the shrimp to be spicy, add either one sliced red chili pepper or one fourth of a jalapeno diced. That’s all there is to it. Super easy, right? Which means you should definitely try it. 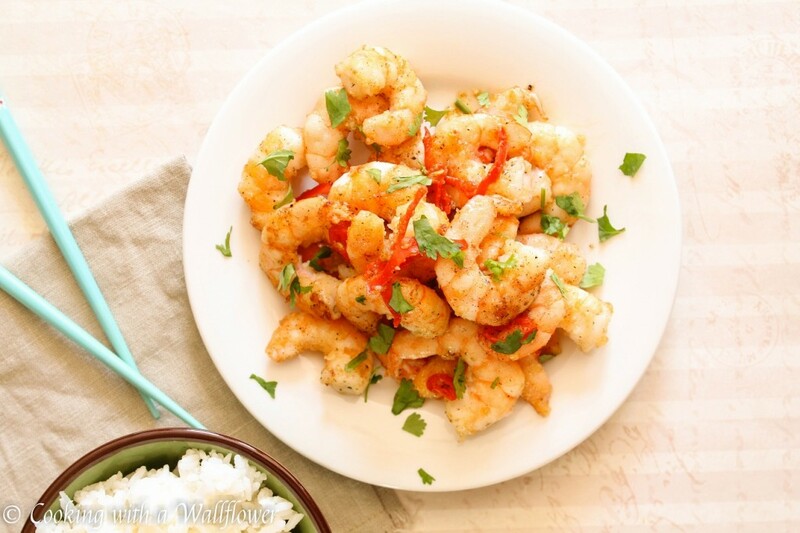 Serve these shrimp warm with rice. 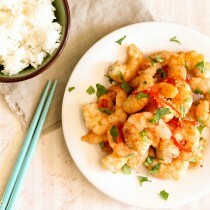 Lightly fried crispy shrimp seasoned with salt and pepper and garnished with cilantro. This Salt and Pepper Shrimp is one of the classic dishes found in Chinese restaurants. Place the cornstarch in a small bowl and individually roll the shrimp to lightly coat them with cornstarch. If you need more cornstarch, you can add more. Once the shrimp is coated, add the vegetable oil to a small or medium skillet. Allow the vegetable oil to heat for about a minute, then add the shrimp. Be careful when adding the shrimp. The shrimp is moist so the vegetable oil is likely to splash. Cook the shrimp until the outer edges are golden brown and the inside is reddish orange, about 3-5 minutes. Season the shrimp with salt and pepper. Add red chili pepper or jalapeno for extra spiciness. 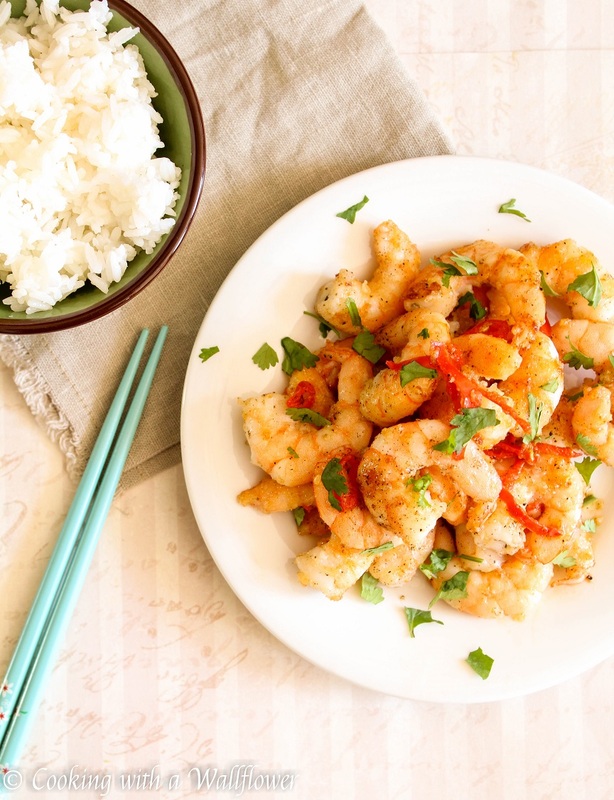 Serve the Salt and Pepper Shrimp dish with rice. 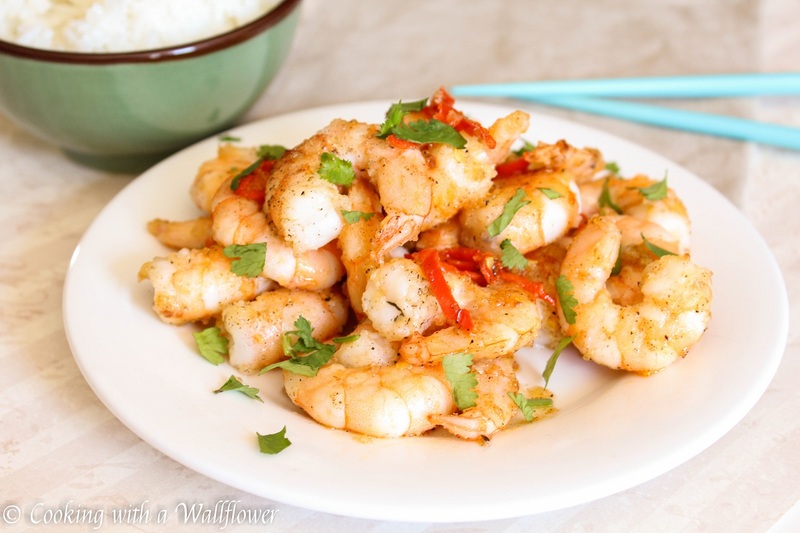 This entry was posted in Asian Inspired, Entree, Gluten Free, Quick and Easy, Recipes and tagged Asian inspired, gluten free, quick and easy, Shrimp. This looks so yummy! I’m going to have to try this recipe!!! These are beautiful photos of a delicious dish! Thanks for sharing with FF#65.